Consumer services -- like Apple's FaceTime, Google's Hangouts and Microsoft's Skype -- have made video conferencing ubiquitous on desktops and mobile devices that have an embedded camera. In the business world, desktop video conferencing is a core component of unified communications applications and Web conferencing services, while cloud-based virtual meeting room services enable organizations to deploy video conferencing with minimal infrastructure investment. Video conferencing is one of the many modes of unified communications. Video conferencing is a higher-end benefit of UC. Learn other ways that unified communications can improve productivity. Choosing the right UC product depends a lot on its features. 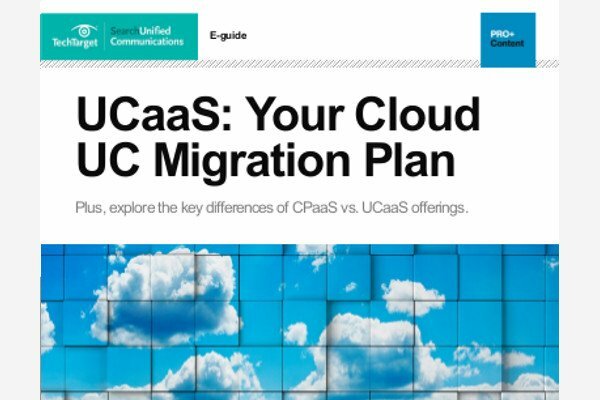 Check out the top UC vendors and the features they offer. In your experience, what have been the major benefits and drawbacks of video conferencing in your enterprise? Video conferencing certainly is an expensive solution these days. Great article. Imagine if communicating were always free. What a world that would be! Video conferencing is expensive but fun at the same time.